Contrary to what we might think a desert is like, the Sonoran Desert supports an abundance and great diversity of plants. Tucson is at the edge of the Sonoran Desert, which stretches south into Mexico and Baja Peninsula. These desert plants have adapted to surviving the dry, hot climate. They take advantage of every drop of rain that falls during the two rainy seasons. Moisture is provided by winter rains and snow melt from the surrounding mountain ranges and the summer thunderstorms of the Monsoon season. 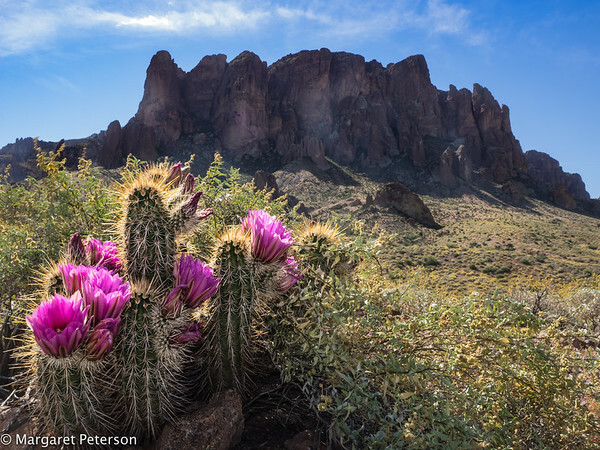 My images represent the transformation of the Sonoran Desert from winter into a colorful display for spring.